Tables. Tables. Tables. 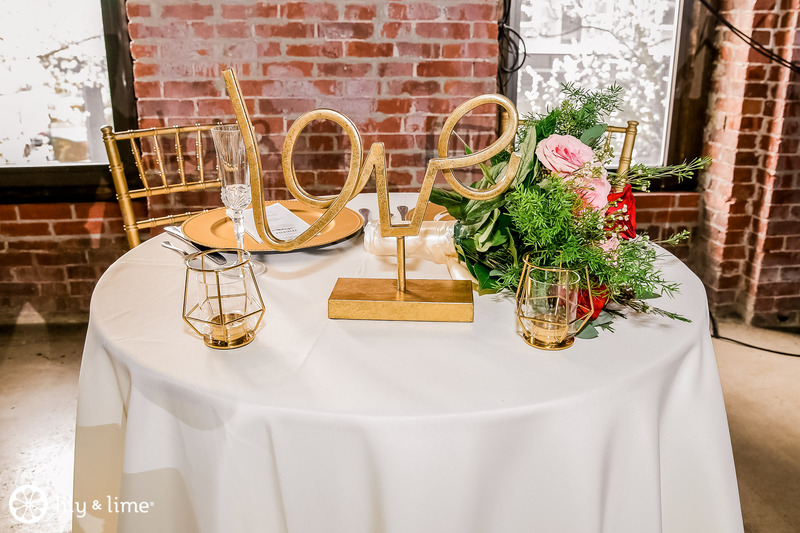 Making the table arrangements for your wedding can be like putting a complicated puzzle together. First, because you probably need to hear this -- there are no wrong choices. 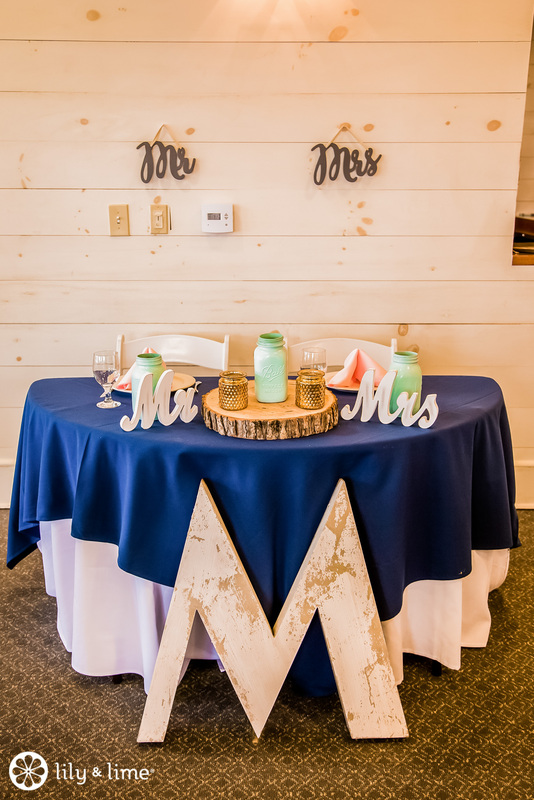 Whatever you decide is the best choice, even if your great aunt wanted a different table number. 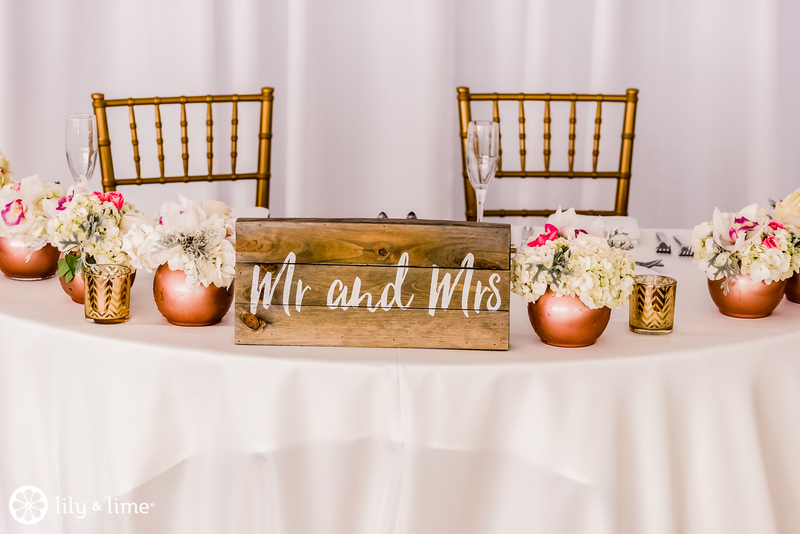 Since your wedding can be so much about other people, you might want to consider a sweetheart table for your seating, as something just for you and your new spouse. 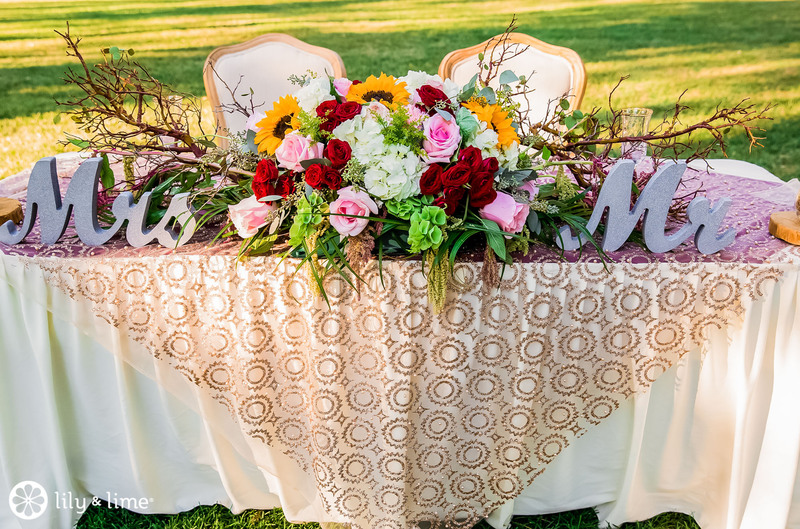 A sweetheart table in a small table that seats only the wedded couple at the wedding reception. 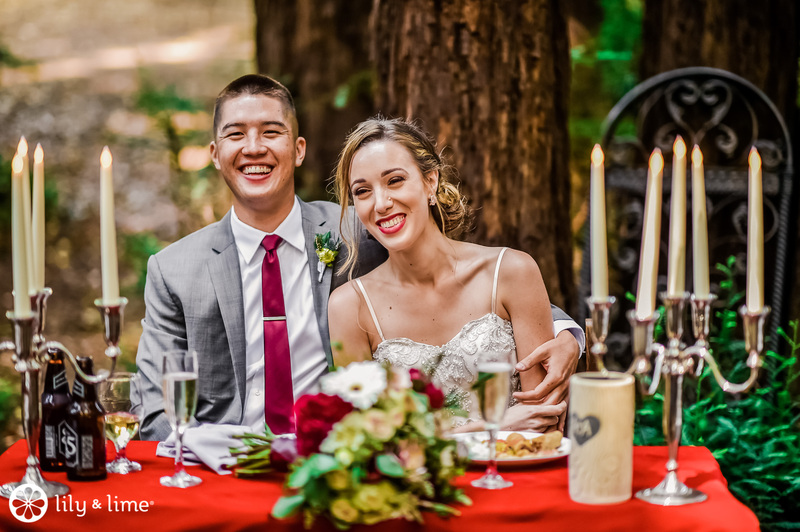 The happy couple sits together, facing their guests. 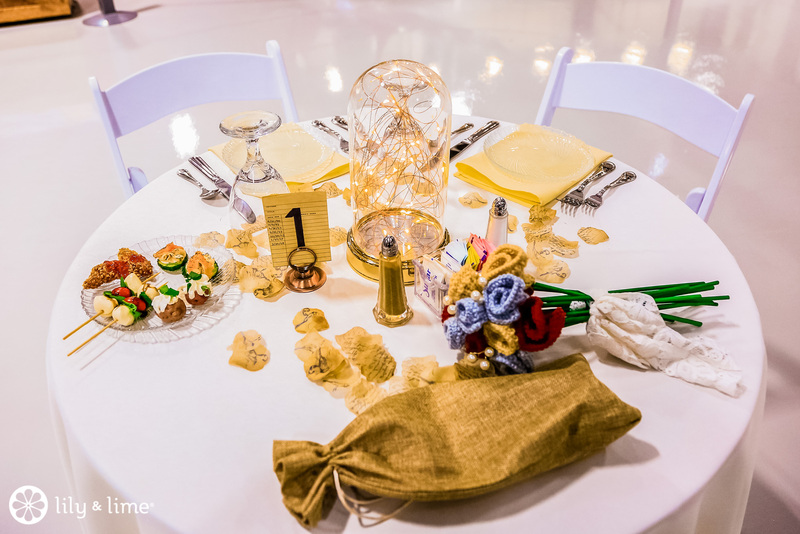 Their wedding party and families are then seated at tables in close proximity. 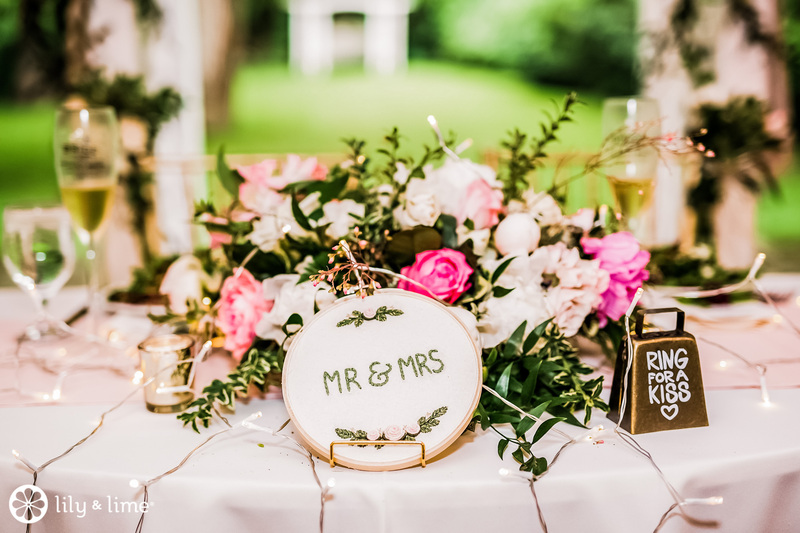 There is something idyllic about sitting apart from the crowd and looking around a room filled with all of your loved ones as you take in a few quiet moments as newlyweds. You just got married! 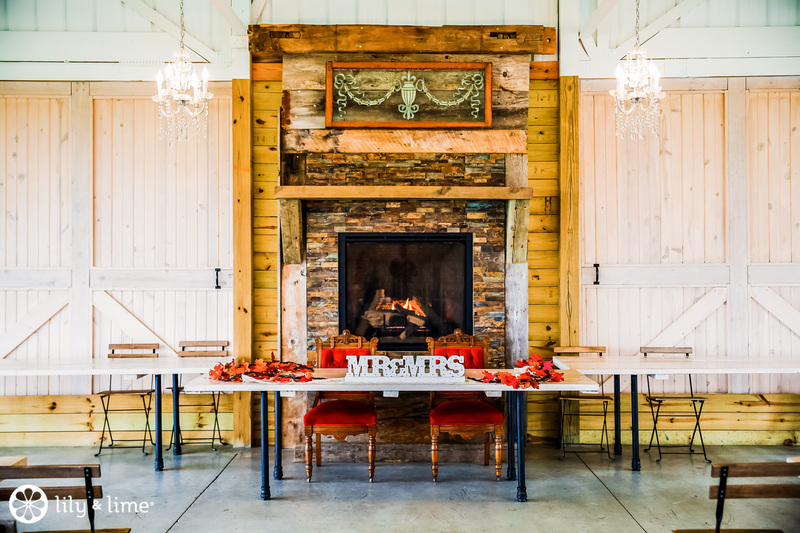 You’ve spent the day getting ready, getting hitched, taking photos, and being greeted by everyone you care about. It’s wonderful, and a little exhausting. 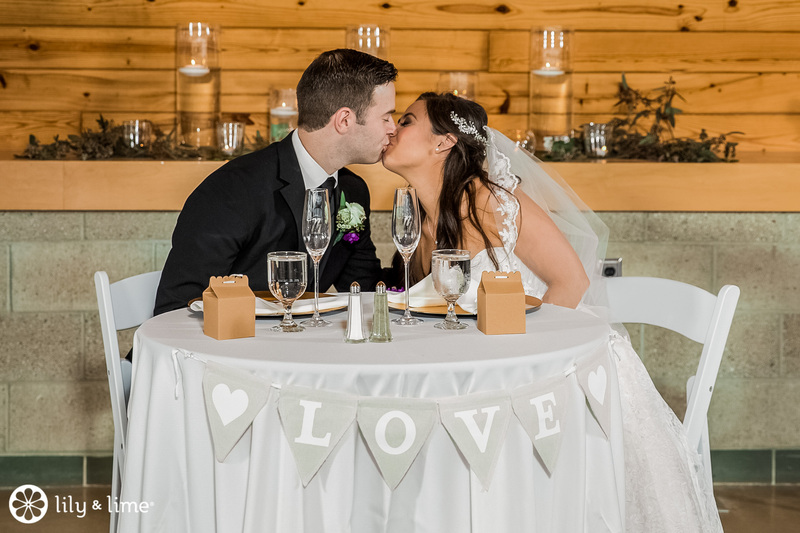 Build some self-care into your wedding day by giving yourselves a social break while you eat. 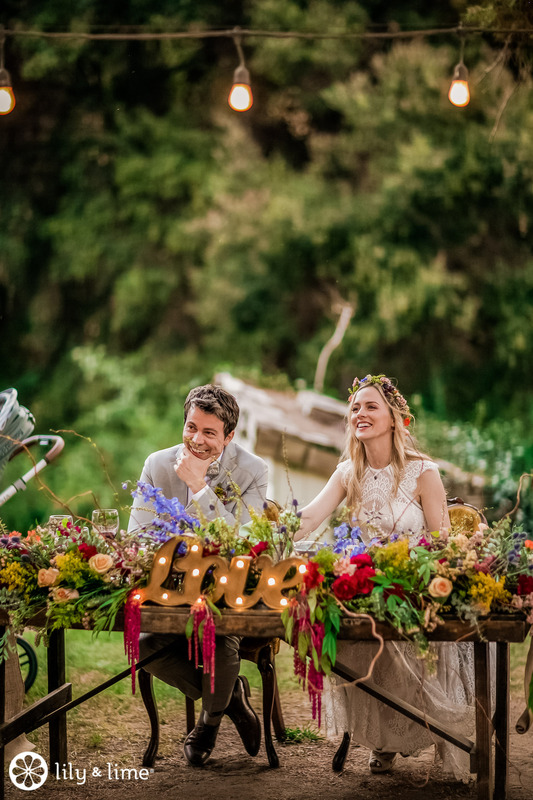 A sweetheart table will let you step away from the madness of being newlyweds, reset, and enjoy the reception. It gives you a little time to breathe, and maybe share some exchanges of things that have happened to you that day that you don’t necessarily want to share with other people. If you usually spend the day texting your partner, then you’ll definitely have things you want to share by the time you’re sitting down to eat. 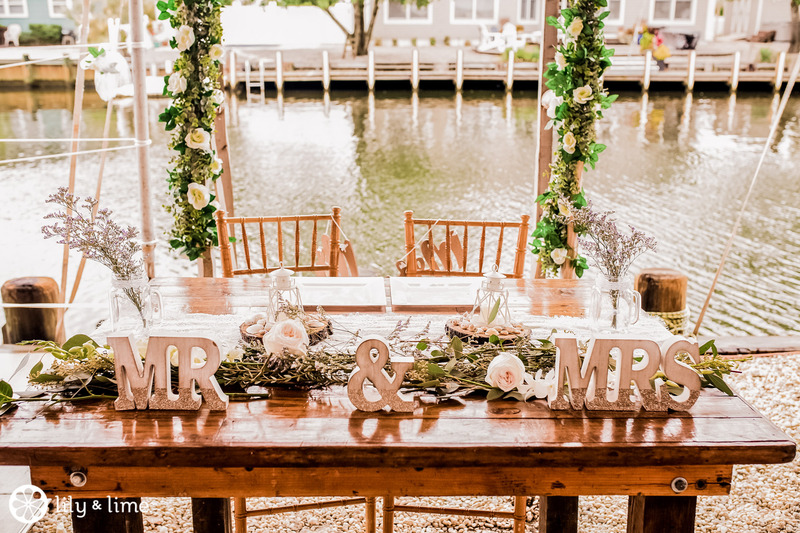 Try doing some extra special touches for the two of you-- upgrade your place settings, rent those expensive chairs, or try a loveseat instead of individual seats! 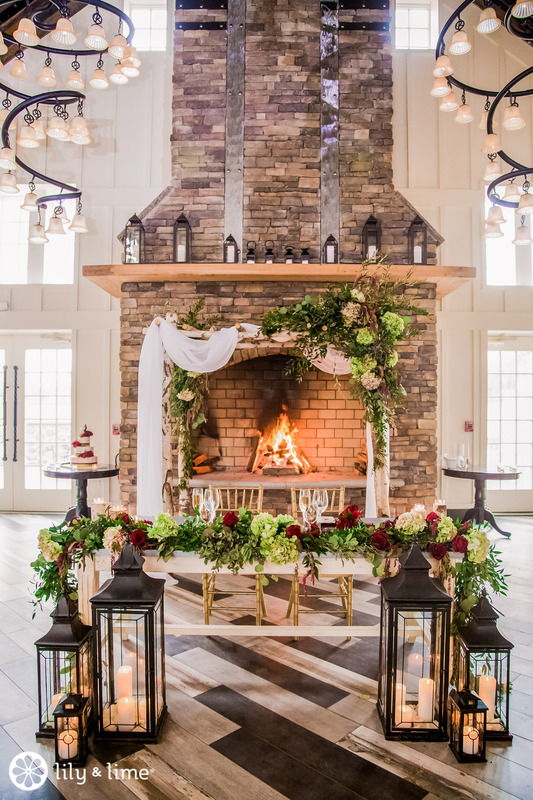 If there’s a fireplace in your reception venue, consider placing the sweetheart table in front of it. So cozy! 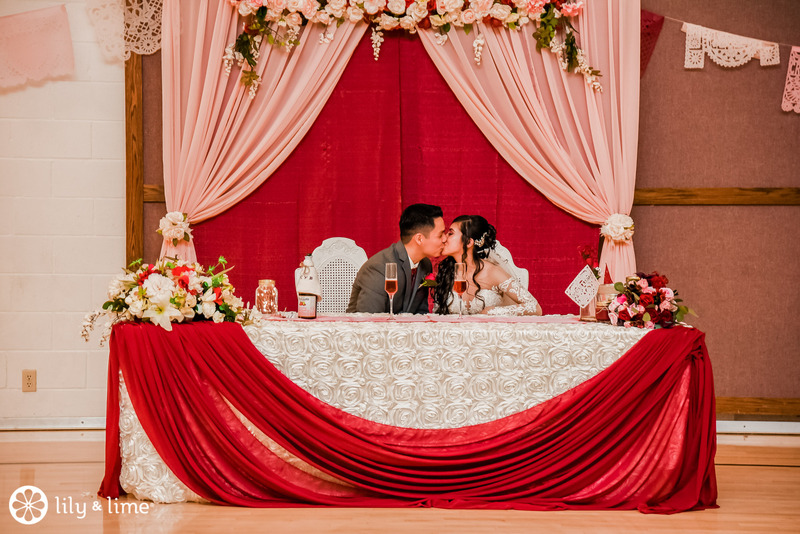 Remember that your sweetheart table will appear in many of your reception photos, so take that into consideration as you set up the decor. 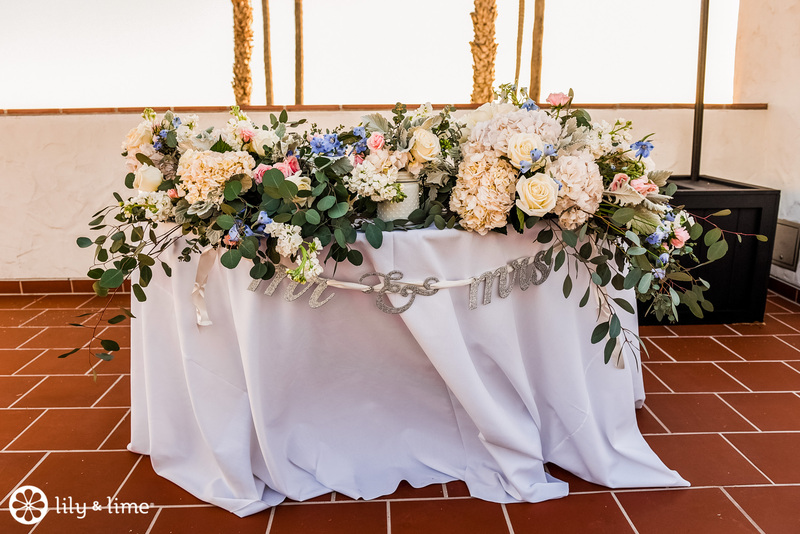 You can never have too many flowers or too much greenery! You can keep it sweet and simple with discreet “Mr. & Mrs.” ”Mr. 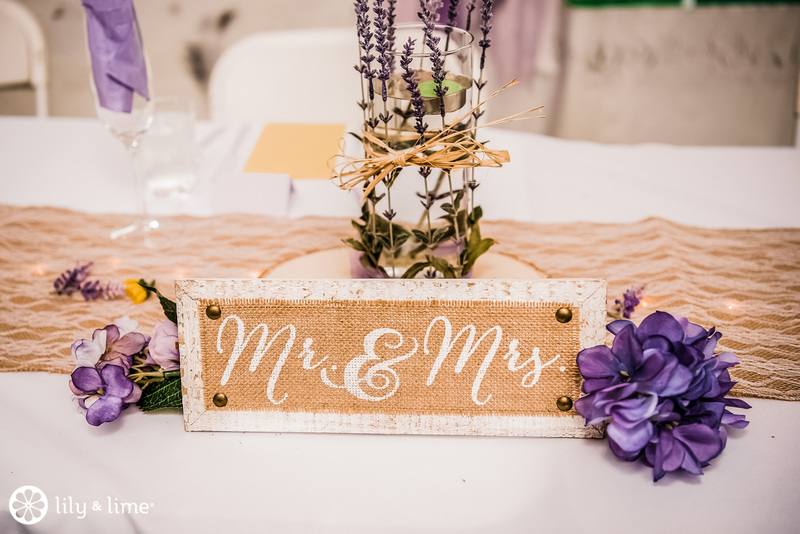 & Mr.”, or “Mrs. 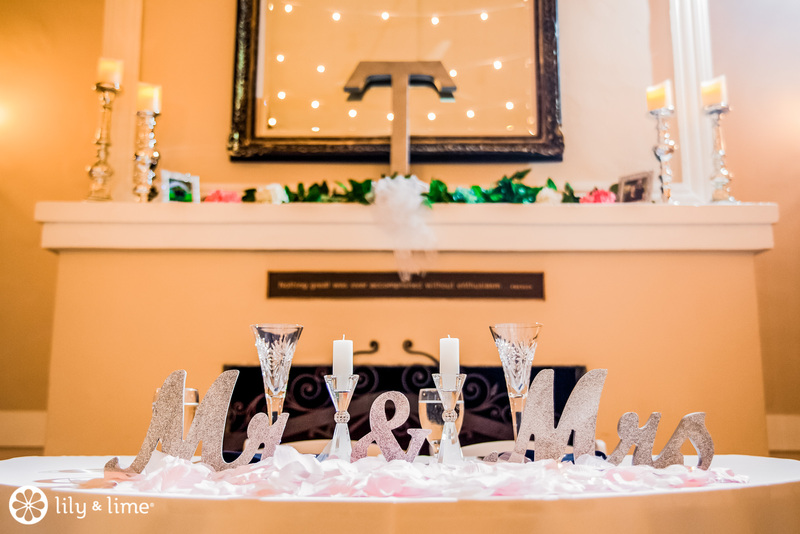 & Mrs.” signs. 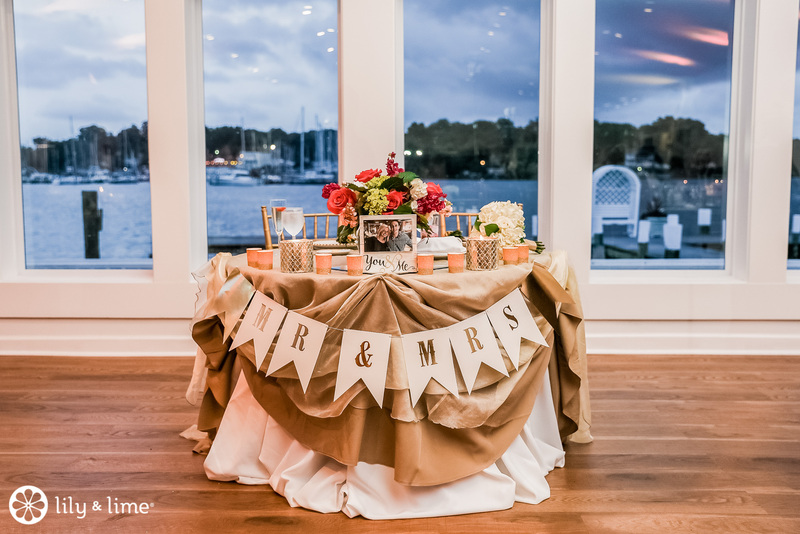 For a splashy display, go with drapes of fabrics in your wedding colors. 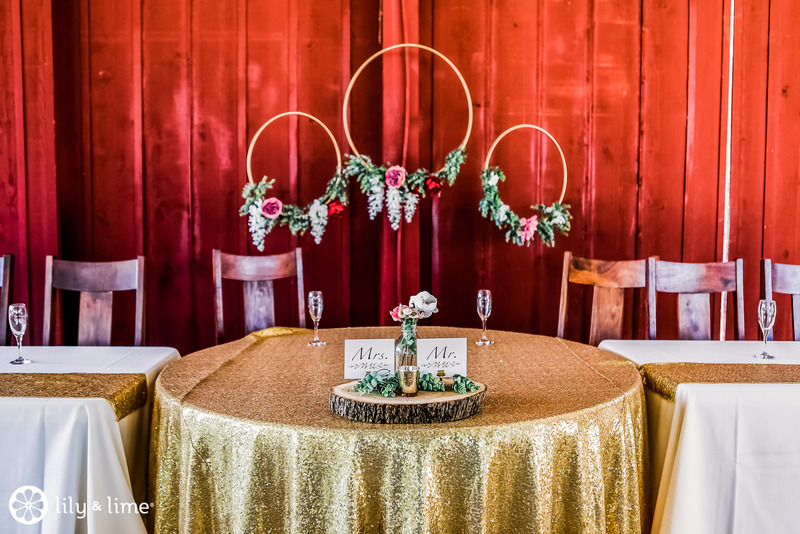 For some extra flair, you can incorporate floral backdrops or arches. 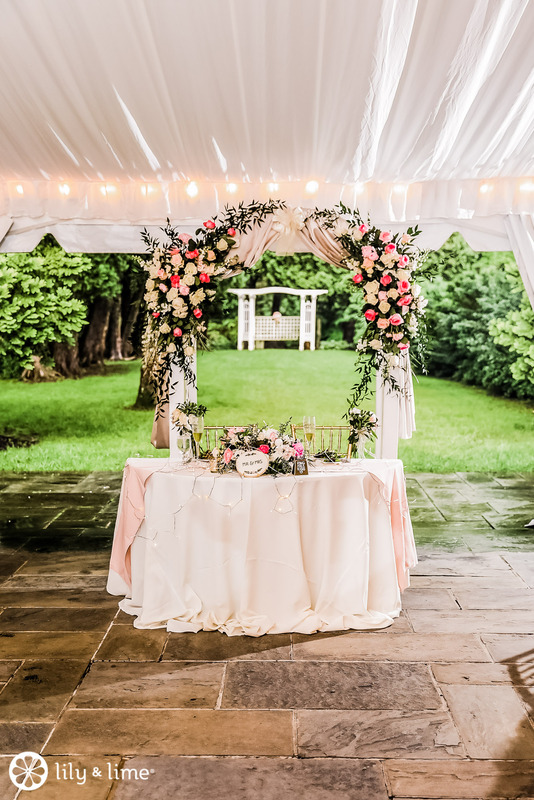 And if you used one in your ceremony, it might be possible to reuse the same one as a backdrop for your sweetheart table. Drama meets practicality! 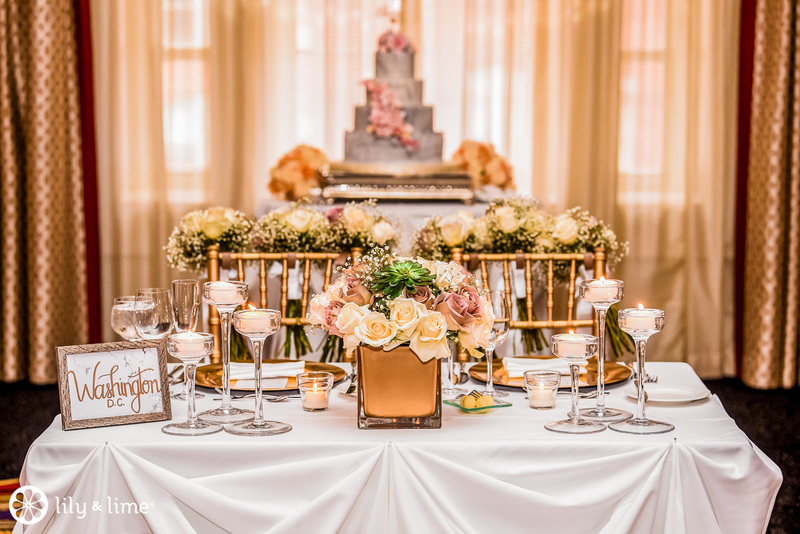 A sweetheart table is a simple way to amp the decor of the reception space without adding too much more to the budget (a rare and appreciated occurrence in wedding planning). 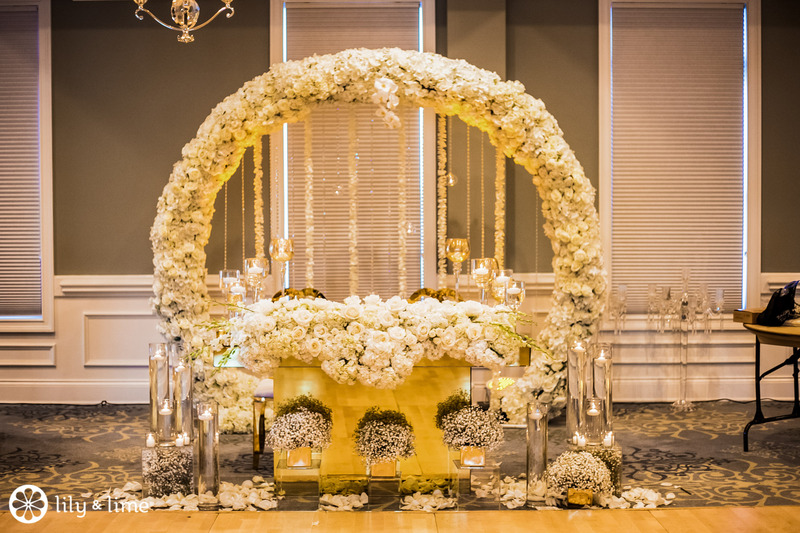 Curious to see how your fiance feels about a sweetheart table? Send them this article to get their read. 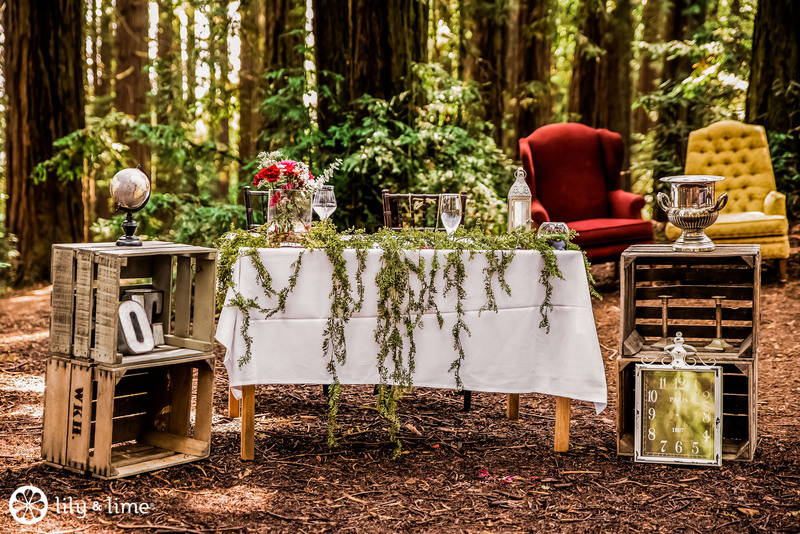 And you can always check out more wedding inspiration on the rest of our blog!